The Godswill Akpabio International Stadium in Uyo will come alive on Sunday when Aiteo Cup champions Akwa United Football Club square up against 2016 NPFL champions Enugu Rangers in one of the Matchday 1 fixtures of the 2017/2018 NPFL. The Media Officer for Akwa United, Mfon Patrick said they will go into the match with the hope of beating the Flying Antelopes who have not lost at the Nest of Champions in their last two visits. In 2016, Enugu Rangers defeated Akwa United 3-2 on their way to lifting the league title and forced the home side to a goalless draw last season. However, Maikaba’s team is determined to go for all three points on Sunday to get their season off to a flying start. With the arrival of top quality players at the club, the Promise Keepers look set to hit the ground running in their first home match of the season. Speaking with the media department of the club, Coach Abdu Maikaba expressed optimism that his team is ready for the new season. Coach Maikaba, who said he wants to continue his unbeaten home record, asked fans to give the team the needed support to mount a serious title challenge. 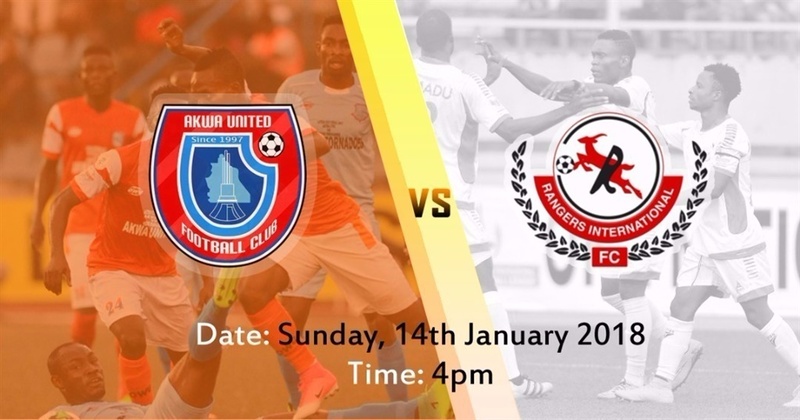 The Akwa United versus Enugu Rangers match is one of the star matches of the weekend and it will be broadcast live on television.